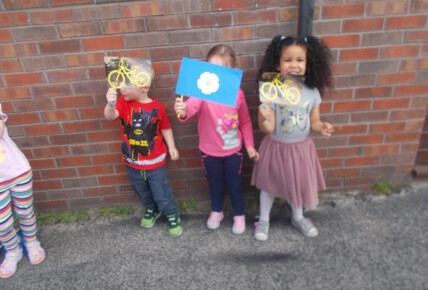 To celebrate the tour de Yorkshire reaching Leeds today the children participated in various themed activities relating to the event. 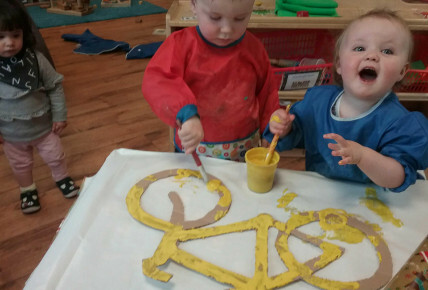 Our under twos really enjoyed painting their very own bicycles in the infamous yellow to display around the nursery. 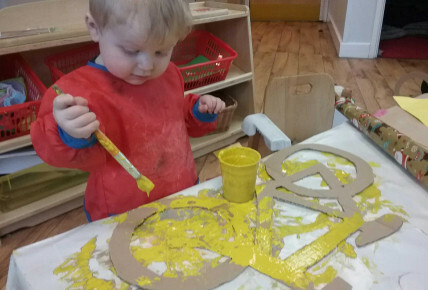 Two to three's did various pictures and made some very special bunting in the celebratory colours of Yorkshire. Finally Preschool had a blast re-creating their own tour around the garden area. They even had an afternoon tea to finish off the occasion. A lovely "Yorkshire" day was had by all.